The carotid arteries take oxygenated blood from the heart to the brain. 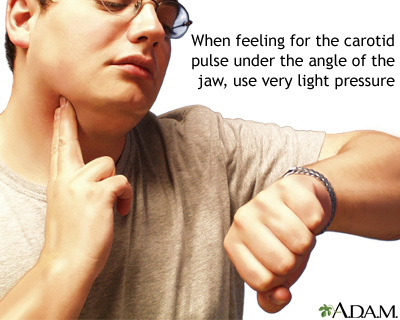 The pulse from the carotids may be felt on either side of the front of the neck just below the angle of the jaw. This rhythmic "beat" is caused by varying volumes of blood being pushed out of the heart toward the extremities.